CoilyQueens™ : No More Breakage! About 2 weeks ago I made my second most valuable hair care purchase, I ordered a seamless comb. Actually I could not make my mind up so I ordered 3 different styles. I had contemplated on purchasing a seamless comb for awhile but I guess I didn't fully believe one would make that much of a difference in my hair care regimen. But I was proven to be wrong. Because I follow the CoilyQueens™ regimen I finger comb most of the time. Three years ago I gave up using a comb on my hair because every time I did, I could feel my hair being ripped out and even hear it snapping. Since my hair was healthy at the time, I came to the conclusion that Afro hair was not meant to be combed. Thus I started finger untangling and combing, and my hair started retaining more length thus getting longer. But I kept thinking about the seamless comb and what, if any, difference it would make in my hair care regimen. 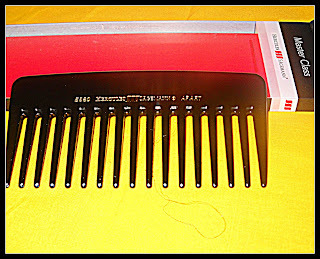 A seamless comb is exactly what its name implies, it is a comb which has no seams. You can tell from handling a seamless comb versus a regular comb that it is made of quality materials. Grab one of your personal combs and run your fingers along the teeth of the comb, you will feel a line or seam. 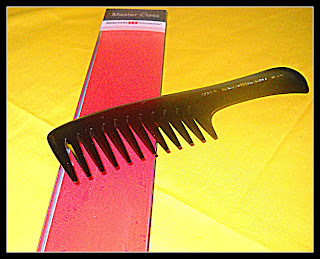 Now some combs have larger lines than others but all cheap combs are made with that seam. When you comb your hair especially black hair with a comb with seams, those seams glide through the hair and snap the hair as you comb your. How many times have you felt the ripping and the snapping, and heard it also? So the big deal is that a seamless comb allows you to comb your hair without ripping it out or causing any damage. Trust me they do work! You can tell by the smile on my face that I am happy with this purchase. This is two of the 3 I ordered, these two are my favorite ones. On the left side is the Hercules Sagemann number 703WW. It is a styling comb good for detangling short or long hair. All of their combs are made by hand and come with a guarantee to be seam free. The style 703WW cost me 10.95. So you can expect to pay double the price of a regular comb. The seamless comb on the right is a Magic Star jumbo rake comb and it costs 17.50. This comb glides through your hair like butter. You will see no broken hair in the comb, unless you hair is shedding. You will get no breakage from these combs. A closer look at the 703WW styling and detangling comb. 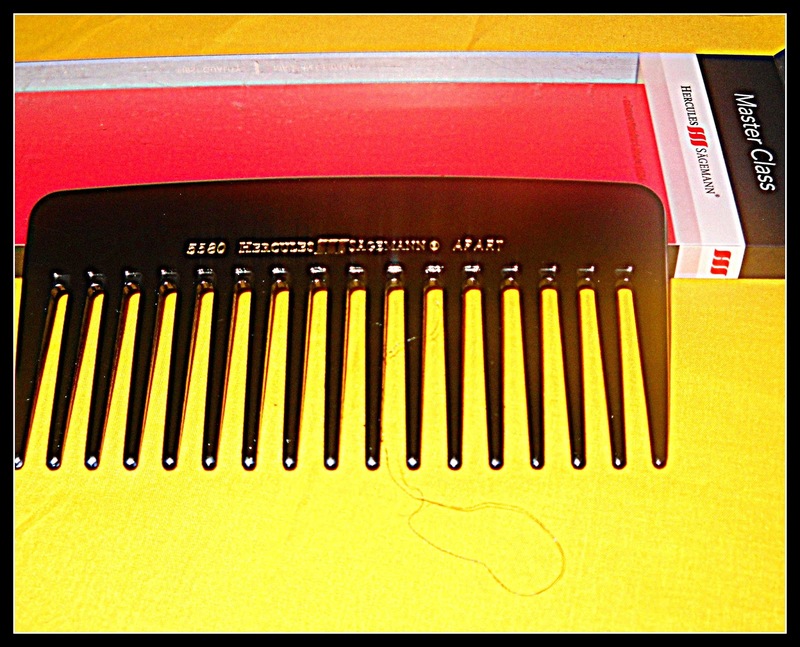 These combs are chemical and heat resistant. As soon as you hold this comb you can feel that it is made of a higher quality than just your average $5 comb. If you are on a hair journey why not use the best on your hair, you deserve it. On the left is a another look at the Magic Star jumbo rake which cost me 17.50, this is one of their best sellers and when you use it you will know why. On the right is the third comb I purchased and it is the HS5580 styler comb it has wide teeth and is designed for curly hair. 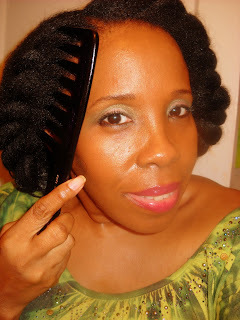 This comb helps to enhance the volume and bounce of your roller sets or curly styles. I have never had a comb to glide through my hair without snapping some of my hair. When you are a slow hair grower such as myself you understand the importance of keeping the length you have. 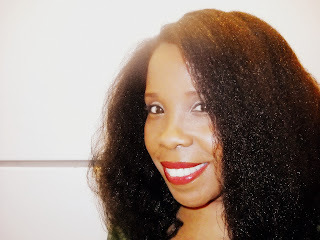 I still recommend finger combing 90% of the time, but there are certain styles that look better when we use a comb, so when you need a comb use a seamless comb and not a comb poorly constructed with seams that rips your hair out as you use it. A closer look at the HS5580 styler comb. Designed for curly hair or hair which has been roller set. Chemical and heat resistant with antistatic guard. All of their combs are non porous so you do not have to worry about mildew or mold. Did I say I love these combs? Yes I love these combs! No seams equals no breakage. Do not settle with combing your crown of glory with cheap combs which contain seams which have no consideration for your hair strands and rips them or weakens them. Find out more about seamless combs at hotCombs.com, this is where I order my combs from. You can also check Sally's Beauty Supply for seamless combs. Seamless combs come in any style a non seamless combs comes in but it doesn't break your hair. If you desire longer stronger healthy hair with no breakage then purchasing a seamless comb is a must. THANKS! Just realized the lines on the ones I have at home although they cost me a fortune. Thanks also for the website. Any ideas where can I purchase the vitamin? My local health food store doesn't carry it.